Want to be cozy and look cute? Prilla is your best bet. 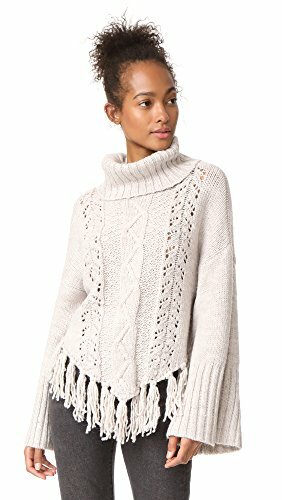 It has a prefect turtle neck with cable knit down the front, and is finished off with fringe detail on the hem. If you have any questions about this product by cupcakes and cashmere, contact us by completing and submitting the form below. If you are looking for a specif part number, please include it with your message.